The Charge Of The Light Brigade, which inspired the Iron Maiden song The Trooper, took place at the Battle Of Balaclava (1854) during the Crimean War when 6—British cavalry courageously charged the massed Russian artillery. This gallant but foolhardy assault resulted in a massive loss of life and came about due to a misunderstanding of an order given by the commanding officer, Lord Raglan. Learn more about this fantastic development here. 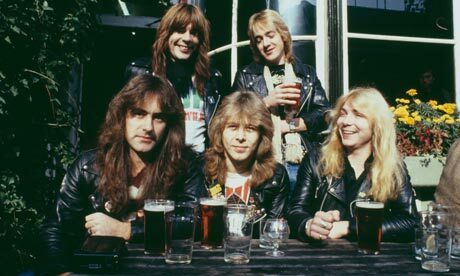 This entry was posted on March 21, 2013 at 8:14 pm and is filed under Heads Up with tags bruce dickinson, iron maiden, Robinson Brewery, trooper beer. You can follow any responses to this entry through the RSS 2.0 feed. You can leave a response, or trackback from your own site.